For a few decades in the mid-twentieth century, the American Medical School represented the pinnacle of academia and its faculty were mightily engaged in the “triple threat” of research, teaching, and patient care. Today, however, the medical ivory tower is subordinated to hospital systems, overburdened with the menial task of “generating revenue,” and is but a pale image of its former self. On this episode, our guest helps us trace the history of the American medical school from its humble 19th century beginnings to its present day turmoils. Dr. Milton Packer is an internationally recognized clinician, teacher, and scientist in the field of heart failure research. 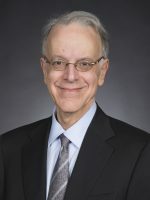 He has served as Chief of Cardiology at Columbia University in New York City and, subsequently, as Chair of the Department of Clinical Science at the Southwestern Medical School in Dallas. He is currently the Distinguished Scholar in Cardiovascular Science at Baylor University Medical Center. Dr. Packer has received many teaching awards, mentored dozens of young clinical investigators, completed innumerable successful research projects, and served as a leader in many professional organizations. He is now also well known and admired for his regular column on MedPage Today, “Revolution and Revelation,” in which he mixes wisdom and polemics to the delight of his many readers. Fascinating history and insight. Having graduated from medical school in 1980, I have watched the evolution of medical school training and see the downsides of the current system. I have been working on a bill in NJ to replace the way we care for the poor and uninsured. The 2017 bill NJ S239 would radically change the system. It would revive independent private practices, increase access to care for the current Medicaid population, lower the cost of that care, get all the specialists volunteering in one place, and be a venue for teaching unlike anything we have today. The 2017 bill S239 would give liability protection for the private practice of any physician who donates 4 hours a week in a non-government free clinic. Our 15 year old Zarephath Health Center (zhcenter.org) provides care at $15 per patient visit at no cost to the taxpayers– a model that works. The bill is explained completely at NJAAPS.org.